Had the No.3 up for the start but changed up as the breeze seemed to drop off. Chose the inshore route to North Head which didn't look to back as we headed through Hurst but had to put a reef in as the breeze continued to build. 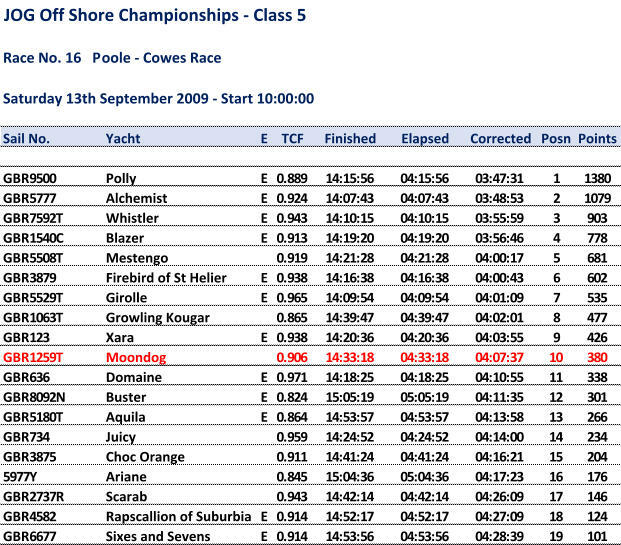 Beat up the Solent to the finish and one place lower than the first leg.